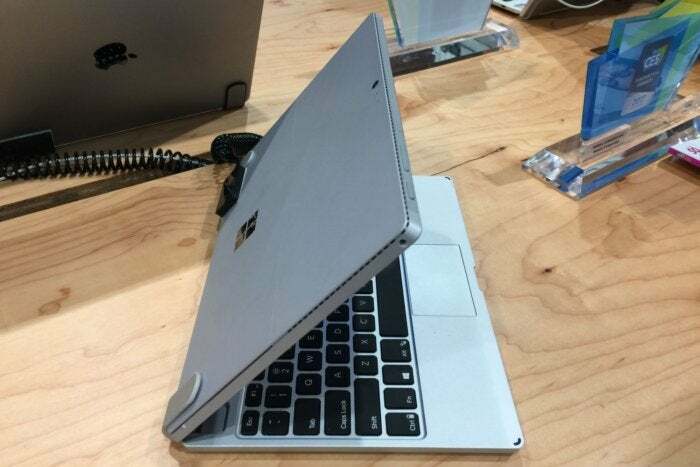 Turn your Surface Pro 4 into a Surface Book—sort of. After making a name for itself with MacBook-like keyboard docks for iPads, Brydge is now taking on Microsoft’s Surface. The Brydge 12.3 is a Bluetooth keyboard that clips to the tablet section of a Surface Pro 3 or 4 with a pair of sturdy silicone hinges. 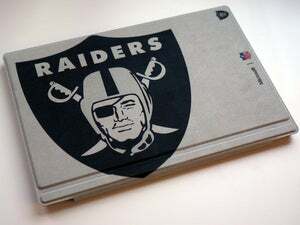 At 1.3 pounds, the base is hefty enough to hold the Surface upright without leaning on the tablet’s kickstand. 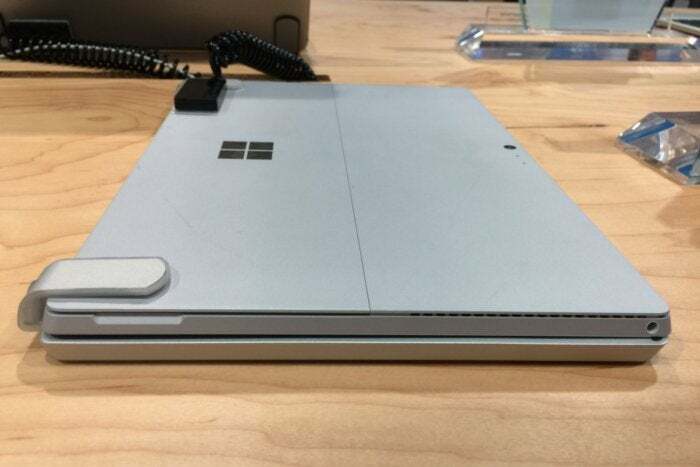 In other words, it adds an element of “lapability”—Microsoft’s term, not ours—to the Surface Pro line, forming a sort of makeshift Surface Book. 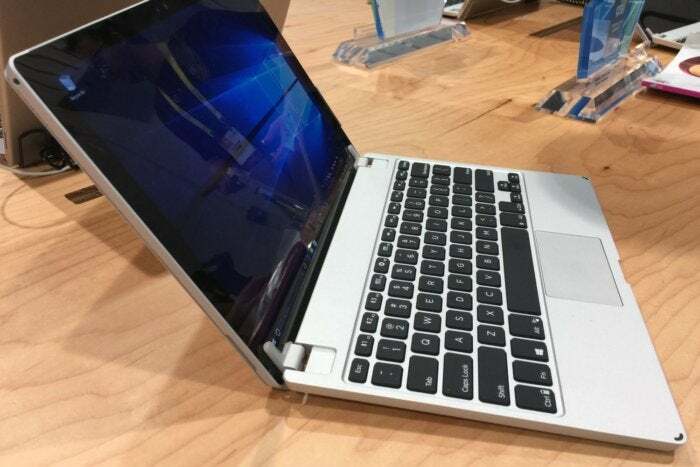 Optionally, buyers can also equip the keyboard with 128 GB of built-in solid state storage, which users can connect to the tablet via a USB cable. As Brydge CCO Toby Mander-Jones explains it, a physical connection would be tricky, as it would either require a fixed viewing angle for the screen, or some kind of narrow ribbon-shaped hinge that could lead to durability problems. It’s worth noting that the Brydge 12.3 units on display at CES were pre-production samples. The real thing will be available this spring for $150, or $250 with the 128GB SSD built-in. The cheaper version is available for pre-order now at a $20 discount.